In celebration of our 20th anniversary, we want to take a look back at some of the milestones of our business. October 1, 1997 – Ann Gregory and her father, John Gregory open The Door Store in Hikes Point Shopping Center on Taylorsville Road with partner, David Doctor. Focusing exclusively on replacement doors, The Door Store was a unique concept for the Louisville market. 1998 – Within the first year, the Door Store installs its 100th door and starts to establish itself as an expert in Louisville door replacement. 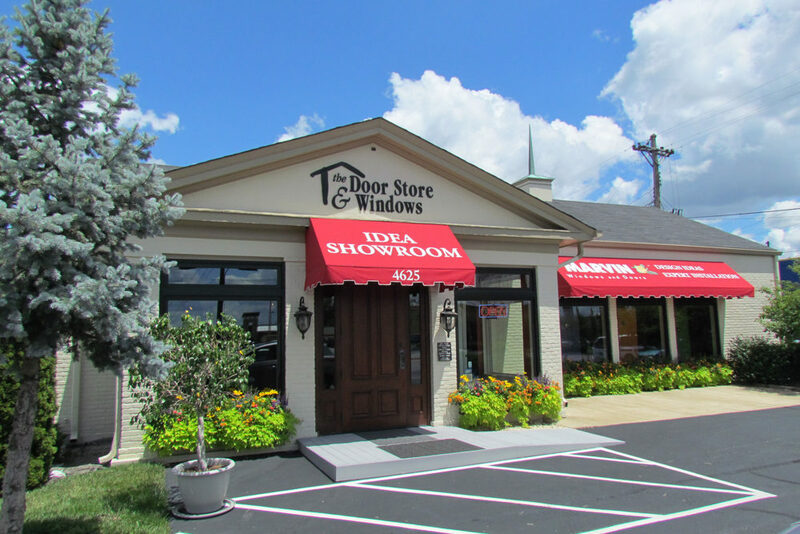 2003 – The Door Store becomes Door Store and Windows as the company adds window products to meet customer needs for a replacement window and door company with outstanding design and installation expertise. In 2006, the company becomes an authorized installing retailer for Marvin Windows and Doors and quickly becomes one of Marvin’s star dealers. July 4, 2005 – Door Store and Windows moves from Hikes Point Plaza on Taylorsville Road to a highly visible and easily accessible location on Shelbyville Road. The new office/showroom facility more than triples the available showroom space for the company and adds office and warehousing space. 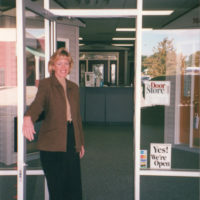 March 2006 – As Door Store and Windows continues its growth, Ann’s sister, Laurie Scarborough joins the firm for a “temporary” period of time to help with strategic planning, marketing, accounting and operations. Nearly ten years later, Laurie finally trades her fold-up table for a real desk and takes on a partnership role in the business. The heart of Door Store and Windows is the team. Every member has been critical to the success of the business. Several team member additions signaled major changes and milestones for the company. Craig Rowe was hired as Lead Installer and Installation Manager in 2006. Don Erickson was brought in to establish the new construction division of the business in 2009. Virginia Bell took on CFO duties in 2015 and has recently assumed the role of Operations Manager. 2013 – Finding the best manufacturer/partners has always been a key to Door Store and Windows’ success. The company evaluates and scrutinizes every partner and found a gem with ProVia Doors. ProVia has been producing high quality entry, patio and storm doors in Ohio’s Amish country for almost 40 years and truly meets high standards of excellence. 2014 – Despite difficult prevailing economic conditions from the financial crisis and the associated housing collapse, Door Store and Windows finds the right combination of great value and outstanding customer service to continue its sales growth and receive Marvin’s highest dealer recognition – the Marvin President’s Club award – for the first time. Every year since then, the company has been awarded the Marvin President’s Club award and the ProVia Platinum Club award in the same year. 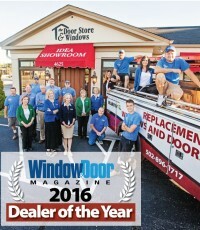 2016 – Door Store and Windows is named Window & Door Magazine 2016 National Dealer of the Year. As the first Kentucky company to be awarded this honor, the company is profiled on the cover of the window and door industry’s top national publication, Window & Door Magazine, and established as a nationally-recognized industry leader. 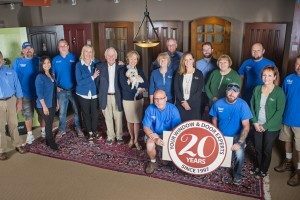 October 1, 2017 – Door Store and Windows rings in their 20th anniversary and will celebrate by honoring the team members, stake holders, vendor/partners and, of course, the local community for helping create outstanding customer experiences for Louisville homeowners for two decades. Louisville’s Best Replacement Windows and Doors Replacing Windows? See How Much You Should Spend.